UFO SIGHTINGS DAILY: UFO Over Las Vegas, Nevada Near Hotels On Feb 27, 2016, Video, UFO Sighting News. 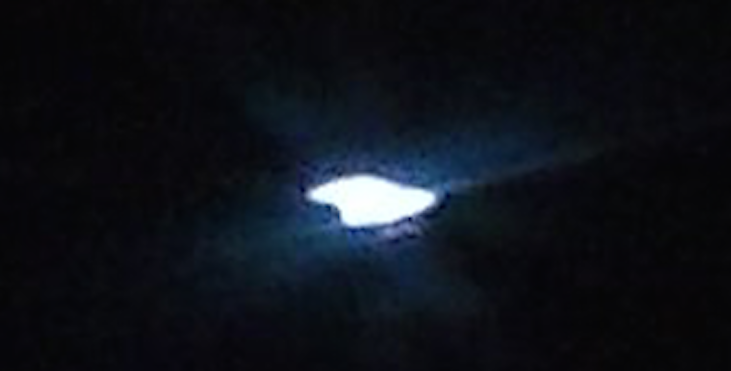 UFO Over Las Vegas, Nevada Near Hotels On Feb 27, 2016, Video, UFO Sighting News. Dr. Charles Hall worked two years with tall white aliens that had their own base within Nellis AFB. This glowing ship looks a lot like the description that Hall gives about what he saw them fly in. He has stated many times that the Tall Whites like to go to Vegas to relax and enjoy a normal human lifestyle. This ship is probably taking some Tall Whites back to their base. To read more about the aliens at Nellis AFB, click on this. US Military Vet worked with Tall White aliens at Nellis Air Force Base, Video, UFO Sighting News. I Had Just come out of the Rio Hotel/Casino to catch The E/B Flamingo Bus, I Turned back toward the Hotel Because I Caught this Very Bright White light out of my Peripheral Vision, It was going west, No Sound, No Blinking, or "FAA" I.D. (Anti-Collision) Light's, It Glowed From Within, No External Light's. 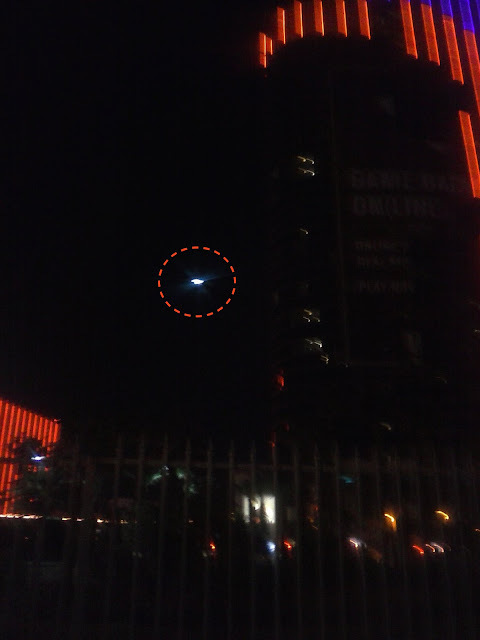 I Am a Former Private Pilot, and a Aircraft & Technology Enthusiast, I am Familiar with most kind's of aircraft, This wasn't a Helicopter, Or Jet, or Civilian aircraft, when I saw that it was Returning E/B From Behind the Rio Bldg. (on the left) I took out my Cellphone to Video it, took a picture then switched to video, (Both Included) I Think it was a UFO, Unless it was some kind of Homemade Drone, But from my best estimate it was about 300 ft.Alt. Maybe 1/4 to 1/2 mile away, and looked to be about the size of a Mini-Van. I Didn't see it emerge from behind Bldg. #2, And right at that time my bus was arriving, You can hear it in the audio, along with traffic noise, so I had to stop the video (and Further Investigation) Could you please take a closer Look at it and let me Know what you think, I Don't have the equipment to Enlarge the video to see more detail, I Was very excited to observe this, and I think I got one! I Believe that we are not alone, and have Never Been alone. . .and I Hope I Live long enough to experience "Disclosure", and possibly meet, and interact with our Space "Family" Thank You! !